is situated about 150 Km from Lomé. It is in the Canton of Dawlotu Tutu, in the Prefecture of Kpélé-Akata, in Togo’s Plateau region. Kpékpéta is backward in terms of basic infrastructure, with poor or nonexistent road networks makeing access and communication very difficult and sometimes, even impossible. The village is cut off during the rainy season and the roads are inaccessible. It is under these conditions that farmers are forced to take their crops to the two nearby markets. 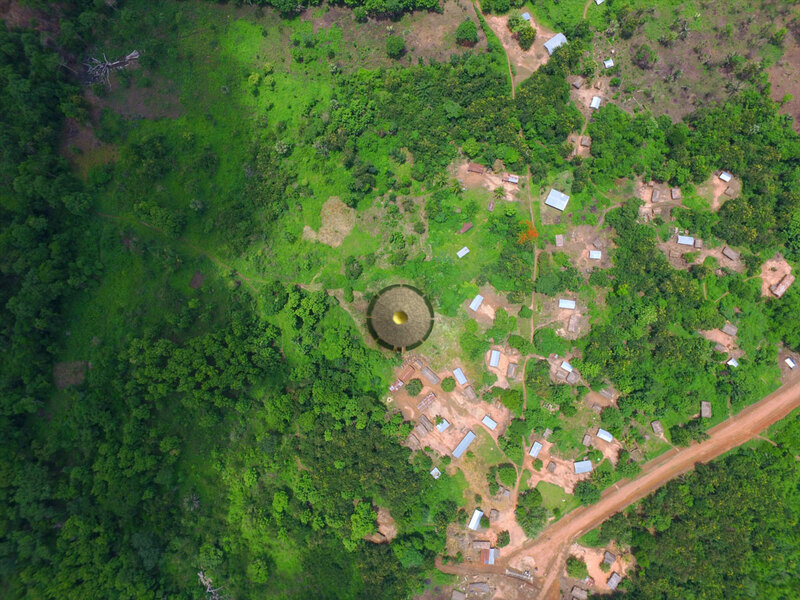 Kati market is approximately 18Kms away and that of Kanti Kopé is 9Kms from the village. Kpékpéta is a large area but inhabited by very few natives. Its rich land attracts many farmers from other parts of Togo. 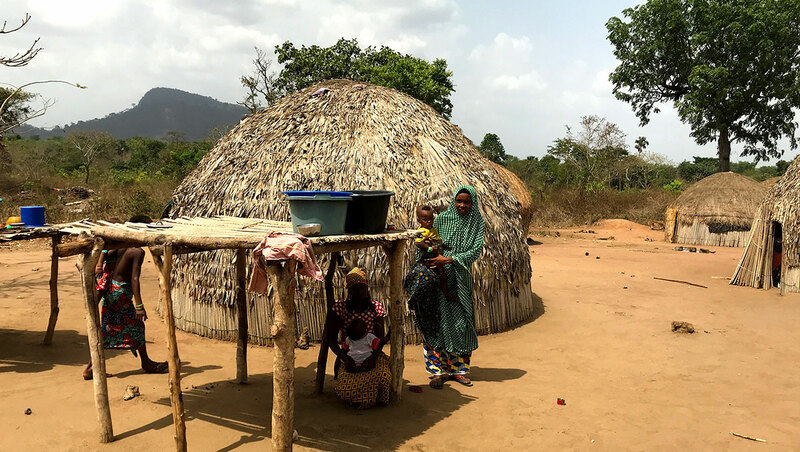 Apart from the native Ewe, other ethnic groups inhabiting Kpékpéta include the Kabye, the Losso, the Lamba, the Bassar, the Moba, the Adja-Ewé, and Ewé from Vogan and Afagnan. 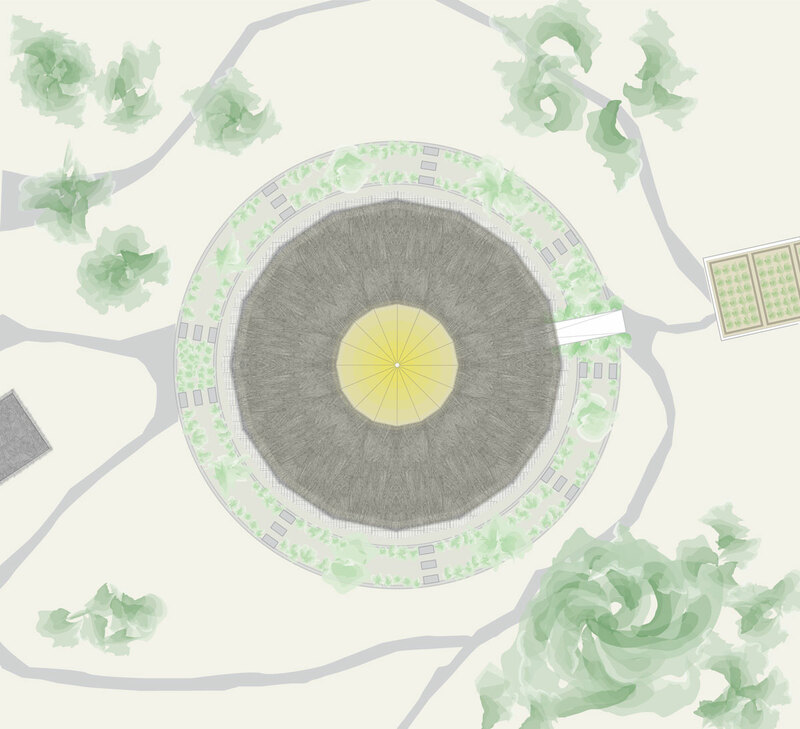 Kpékpéta is an agricultural village with vast cultivable land. The average surface area of fields cultivated using rudimentary tools is approximately 1 to 3 hectares. The harvest from these fields is not enough to sustain the farming families throughout the year. Apart from food crops such as maize, cassava, beans, soy, rice, millet and sorghum, farmers produce cotton as a cash crop. 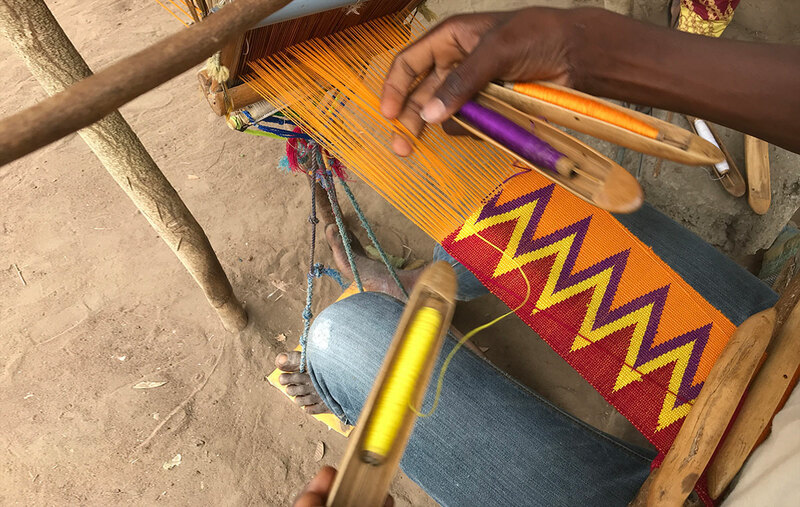 There are artisans in the village with professional weaving skills that they employ for making multicolored blankets. The market for these textiles in the community is very limited and so weavers are often compelled to move to the capital to practice their trade. 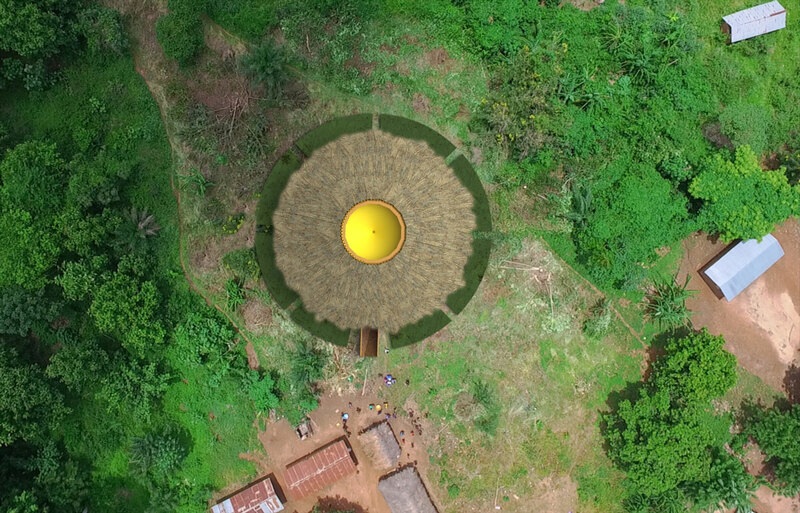 The village is equipped with a well that has been recently installed but there is not enough water to meet the needs of the inhabitants. The communitiy's main source of drinking water remains the river. Women are mainly responsible for finding and collecting water for their families. 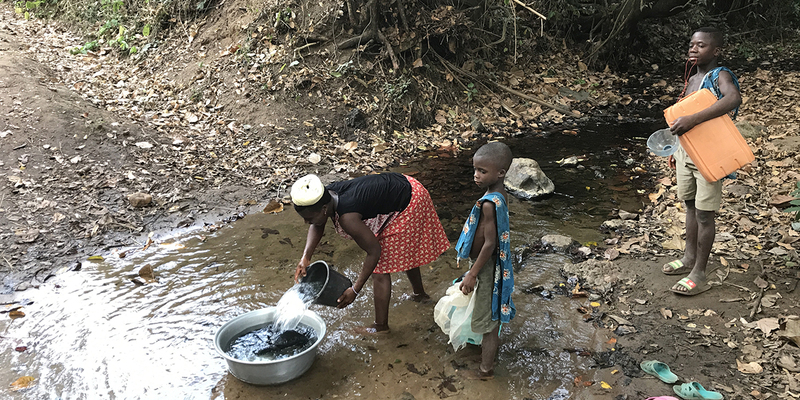 This water is potentially dangerous, polluted naturally by livestock like cows that is using daily the same water, human waste (there is no toilet system in the village) and chemicals cause by the clothes washing activities. Water is a rare commodity in Kpékpéta. The surrounding foundation of granite-gneissic is very difficult to drill, and there are very few regular watercourses. 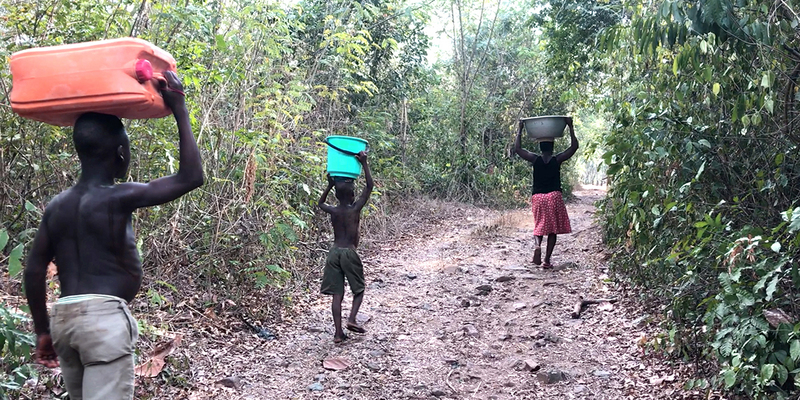 Men, women, and children are sometimes forced to walk up to 7 km (14 km round-trip) before reaching even a poor quality water source. Added to this are the limitations of Kpekpeta's widely disperesed population consisting of a village center, ten hamlets and three farms some distance from each other. 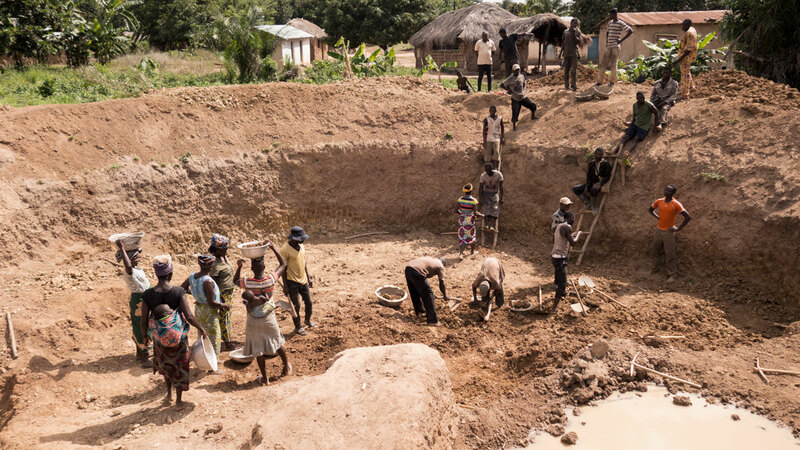 In November 2017, the Swiss humanitarian association, 1 2 3 Action, finally responded favorably to a request for access to drinking water in the village center following a campaign initiated by the NGO Tomoka in 2010. 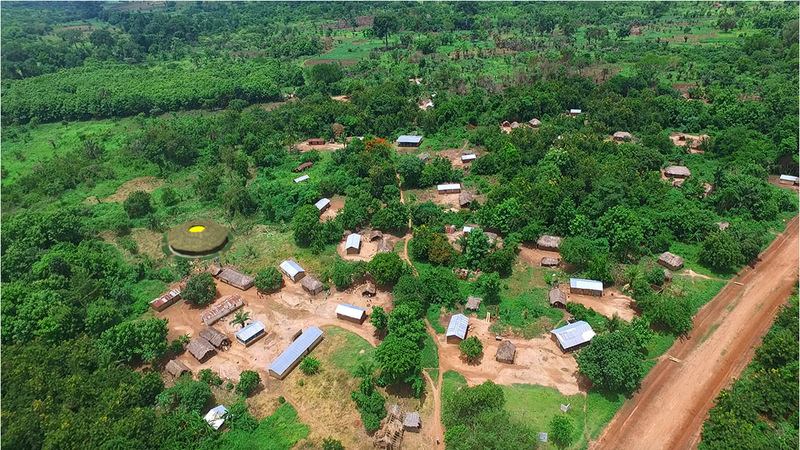 Still today, the progress implemented by 1 2 3 Action, along with the seven wells made by the NGO Tomoka, are not enough to cover the needs of the entire village of Kpékpéta. Daily water collection trips can take 30 minutes or more. They are made primary by women, but the task falls also to children — girls and boys alike. The quality of the water is one issue, but there are also the health implications of such an unrelenting, physically arduous task. 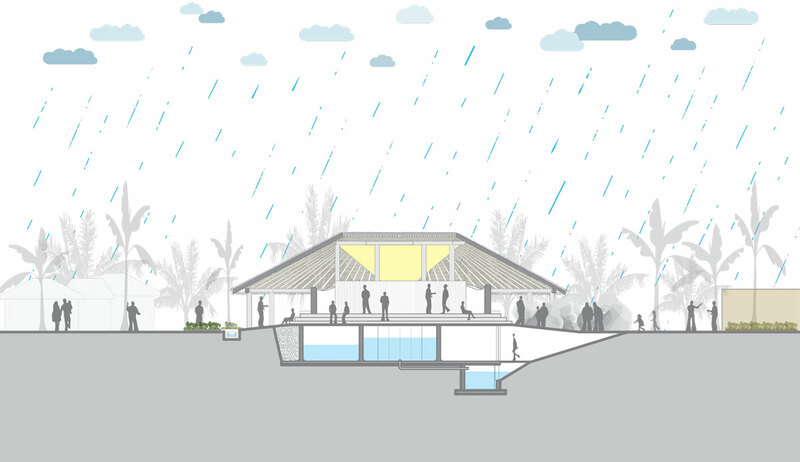 Once a woman gets to a water source, she can expect to spend even more time waiting in line. Then comes the hard part: lugging the water miles back home. A single trip for water each day is often not enough. Depending on the size of the family and the household's needs — like laundry, for instance — women may make this trip multiple times on the same day. 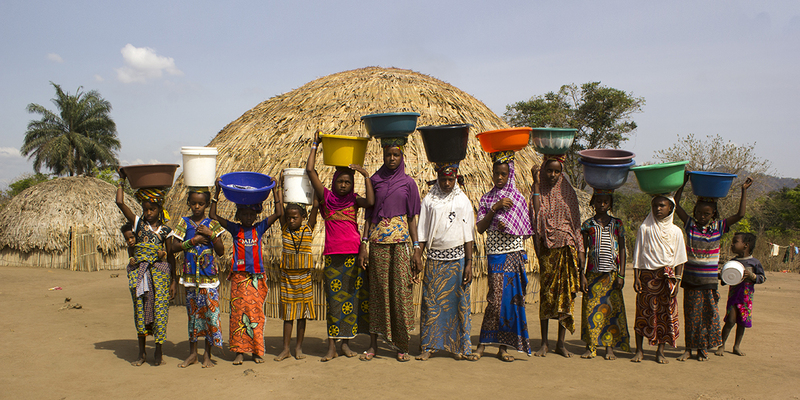 Water collection times have real impacts on women and girls lives and on the village economy. To collect the water they often use a jerry can, a bright yellow plastic container that was originally filled with gasoline or cooking oil. It can hold 5 gallons (20 liters) of water and weighs about 40 pounds (20 kg). When a jerry can is not available, heavy clay pots are used. Freeing up the time spent for water collection could greatly boost women's economic activity. In Kpékpéta, even traditional toilets like the one shown here are rare. 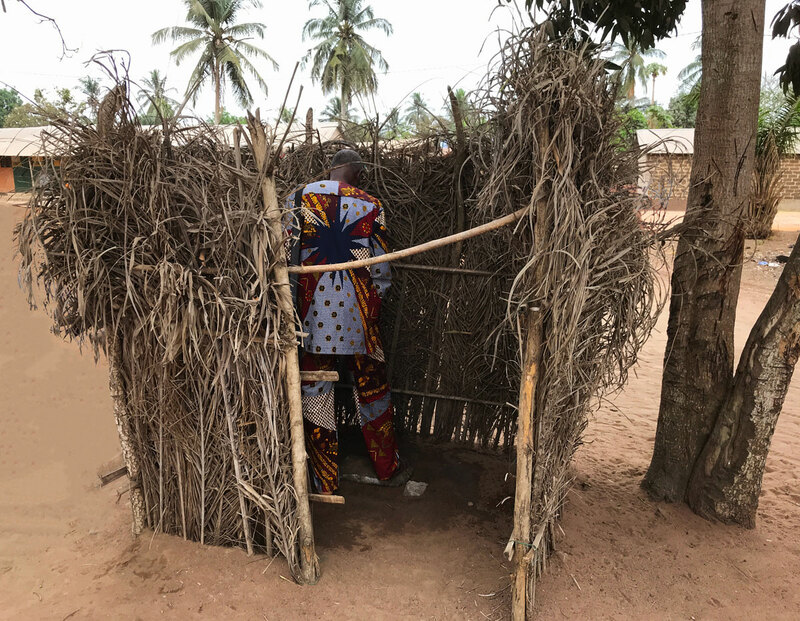 Sustainable sanitation is a matter of dignity, equality, and safety and it is crucial to improving the health and wellbeing of a community. 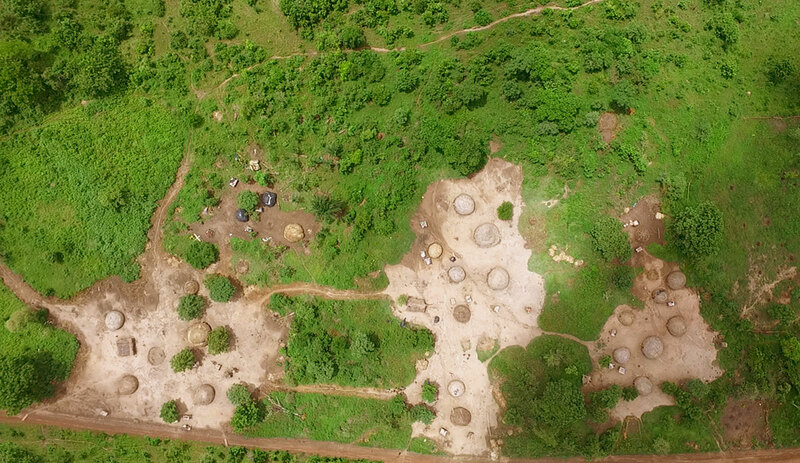 The construction of the Warka Toilet in Kpékpéta has kicked off. 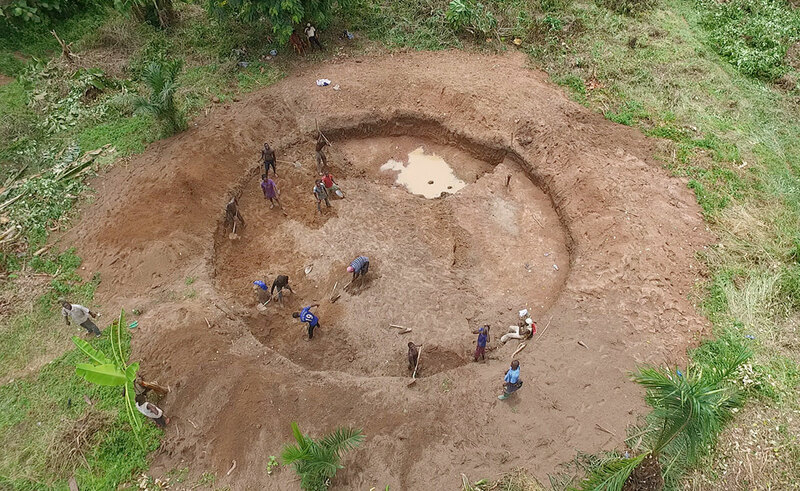 The community is full involved in the project, with both women and men from the village working on the excavation. Day 7: Excavation work almost completed.